Hard on the heels of equal pay day and the continued disparity between men and women in the world of employment we see another rise in female unemployment in the region. Whilst many of those in power just look at the headline figure and slap themselves on the back, there’s a significant difference between increasing employment and good jobs. There’s an even bigger divergence between what’s happening to men and women. Female unemployment is up 4,000 on this quarter - from 56,000 to 60,000 women in the region. In contrast male unemployment in the region has fallen from 63,000 to 58,000. This is part of a longer trend over the last year where women haven’t shared in any part of what’s already quite a limited recovery. The last quarter male unemployment continues to fall – of course we welcome that but this is part of a longer trend over the last year where women haven’t shared in any part of what’s already quite a limited recovery. 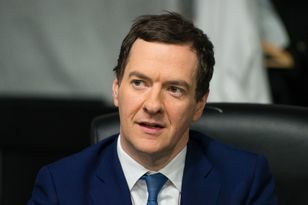 Huge concerns remain about the quality of many of the jobs being created, and as the Chancellor has found out to his cost many people are not earning enough to pay much tax, if any. TUC research last week showed just one in every forty of the net jobs added to the economy between 2008 and 2014 has been a full-time employee job and 26 in every 40 have been part-time. Over the same period 24 in every 40 net jobs added have been self-employed, this isn’t because we’ve seen a huge surge in entrepreneurs – self employment workers are often lowest paid - part a result of people who are unable to find employee jobs being forced into false self-employment – an exploitation of workers used by some companies to evade taxes and avoid respecting employment rights and entitlements such as holiday pay, sick pay and pensions. Of course part-time and self-employment are both important options for many people, however 1.3m people in part time work want full time work and low-paid jobs are creating a tax shortfall according to the office of budget responsibility. The Chancellor has said he wants full employment, but that should mean full-time jobs for everyone who wants them. At the moment the economy is still not creating enough full-time employee jobs to meet demand. Technically economic growth might be back, but there’s no sign of it in most workers’ pay packets. Yes we are seeing more jobs being created; more insecure low paid jobs. This is the wrong kind of recovery.